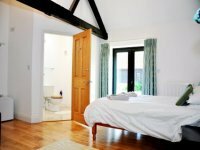 HOLIDAY HOMES, HOUSES & COTTAGES TO RENT IN NORFOLK, ENGLAND. Welcome to our selection of holiday homes to rent in Norfolk, England. Norfolk is a broad expanse of waterways that is a favourite boating destination alongside its neighbour Suffolk. It also has regal connections with the founding of Norwich Castle built during the reign of William the Conqueror. Besides being used as a fortification it has been used as a prison, but since 1894 it has been put to better use as a museum and art gallery. It is open every day of the year with more time given during the extra daylight hours of the peak season. Another momentous monument is the towering architectural marvel of the nine centuries old Norwich Cathedral. It is a truly magnificent sight with its stain glass windows, wall paintings, carvings and sculptures that will humble your presence. Its open every day of the year from 7.30am through to 6.30pm, however special occasions may prevent them being available to the general public and also the souvenir/gift shop and restaurant operate fewer hours especially during non-peak periods. The stately home of Sandringham Palace is open to the public with successive monarchs having contributed to a significant tourist attraction. The gardens were opened by Edward VII during his reign in 1908. The museum by George V and the current monarch Queen Elizabeth II made the house available. These all operate similar opening times every day barring exceptions for when the Crown is in residence, stately functions and maintenance. The Norfolk Broads is a very popular destination for boating holidays with over three hundred kilometres of wetland and waterways, which are comprised of navigable rivers and lakes. Another method of travel through this gorgeous county is through the scenic railways North Norfolk Railway and Bure Valley Railway, which offer scenic routes through reserves, dedicated to the preservation of wildlife and fowl that enjoy the natural habitats. Looking for self catering holiday accommodation in Norfolk, then below is a selection of houses, holiday homes, flats and holiday cottages in Norfolk that can be rented direct from their owners. You can either click on each listing for further details or you can use our search engine on the left if you are looking for something in particular.